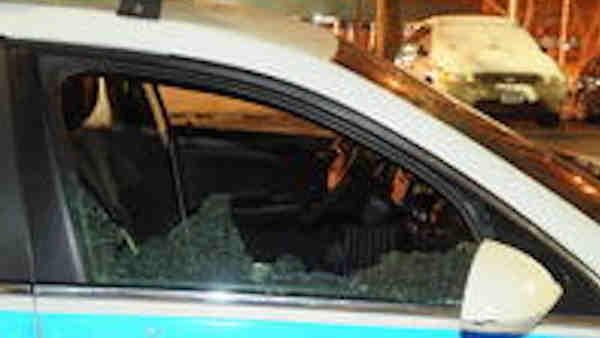 BBs apparently shot out windows of a police cruiser parked by Linden Houses in Brooklyn. EAST NEW YORK, Brooklyn (WABC) -- A BB apparently shot out the windows of a police cruiser parked by the Linden Houses in Brooklyn. Two uniformed officers were sitting in the cruiser on Wortman Avenue in East New York when they heard the passenger-side window shatter just after 12:30 a.m. Monday. Police searched the area but found no witnesses or camera footage. It is believed a pellet or BB gun was used to shoot out the window. No arrests have been made.